There’s a lot of confusion over all the labels given to meat products, especially poultry, for a couple of reasons. 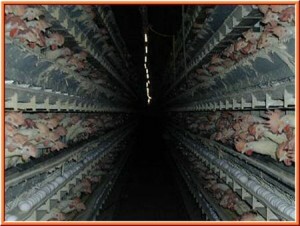 First; as much as we would like to be able to scan packaging quickly and be able to tell if something is “good” or “bad“ based on a few key words, the issue is actually much more complicated than that, and there are more ways to raise and process chickens than there are chickens in the world. Second, it takes spectacularly less effort to stretch the definition of a hot buzz word than to rewrite your entire business model. Topline Foods can help you sort out the fluff from the legitimate labels. We’ll start with the meaningless ones, because they’re funnier. Yes, these chickens are 100% raised on a farm. They’re also egg-hatched bird-creatures, carbon-based and primarily made of water, which has hydrating properties. A farm is defined as a place where livestock is raised; it’s impossible to raise chickens not on a farm. This label says nothing about the type of farm, or the quality and conditions of the birds. This only covers what happens to the meat, not the chicken; it can’t have artificial flavors, colors, or preservatives, it can’t be smoked, dried, or roasted. And that’s all well and good, but for this label it doesn’t matter if the chicken itself has been eating cow brains in the sewers under Chernobyl until it mutates into a Zombie Spider-chicken. As long as there’s no Red-40, it’s 100% natural. To be legally classified as free range, “Producers must demonstrate to the Agency that the poultry has been allowed access to the outside”. While this is meant to encourage more humane, open air conditions that give the animals plenty of space, this is an extremely vague regulation. So now companies have a decision to make. Invest in acres of pasture and relocate our business? Or install a cat flap most of the birds can’t get to and 50 feet of chain link fence around our parking lot? The topic of open space is an important issue, with implications for the humane treatment of the animals, the quality and flavor of meat, and the spread of diseases which can be dangerous to humans. The words themselves are no guarantee of quality, but just because the bar is set extremely low doesn’t mean that free-range producers are all the same and never give their animals access to a natural environment. It’s also entirely possible for a well-designed warehouse that gives their chickens a quality indoor environment to be healthier, cleaner and more humane than a company that is technically free range. To make sure your animals really are high quality, the best thing you can do is always to talk one on one with your provider. If that’s not an option, there are plenty of other labels that can give you a good indication, such as “Raised Without Antibiotics”, “Certified Organic”, or “Certified Humane”. We find that whether the animals are fed antibiotics is often times a better indication of how much space an animal has than ‘free-range’. Even domestic animals are built to survive without drugs, and in any relatively clean, ventilated, roomy and stress-free environment, they should be able to get by just fine without them. But in the filthy, cramped conditions that most companies use, antibiotics are necessary to keep enough animals alive to turn a profit. Both our cage free and organic free range chicken are antibiotic free from birth. Certified organic is perhaps the number one indicator of safety and quality in food. It is very clearly and legally defined as a list of unacceptable practices and ingredients; it follows the food from the additives and ingredients in the final products all the way back to the fertilizer that fed the grains that fed the chickens. It means no pesticides, no artificial fertilizers, no drugs, no antibiotics, no unnatural or non-organic feed, and there must be access to the outdoors. The label is also strictly regulated by third party organizations and its standards enforced by the US government. Essentially, everything that isn’t covered by the organic label is covered by the Certified Humane label. Though not funded by the government, all animal products bearing this label are carefully inspected by the non-profit organization, Humane Farm Animal Care. Their forty page book of standards for the care of poultry raised for meat covers everything, from banning surgical alterations like de-beaking, to regulating the cleanliness and availability of food and water, providing sufficient space and the correct stimulating environment for chickens to express their natural behaviors, training workers to do their jobs while causing the animals the least amount of stress, humane slaughter methods, and more. It ensures that chickens are allowed to be chickens, as much as possible; maximizing both their quality of life and their quality of health, which gets passed along to the consumer. We’re proud to say that our organic chicken is also certified humane; giving our customers the best tasting, most nutritious, and most ethical chicken around.